Movies and sitcoms often throw around the term “dysfunctional family” like a sort of cute tagline to describe a quirky, semi-likable bunch of characters who occasionally don’t get along; the relatable sort of family strife you can digest along with your dinner. But Hereditary uses horror and the supernatural as a springboard for a more disturbing portrayal of dysfunction – favoritism, denial, inappropriate boundaries, manipulation – and how a family unravels under the weight of decades of psychological abuse. Hereditary lives and dies on Toni Collette’s performance as Annie Graham, a woman with children of her own who is navigating the complexities of life after the death of her mother, with whom she had a less than perfect relationship. Annie confronts feelings of relief, the guilt brought on by that relief, and grief in the days after her mother succumbs to cancer. She’s also largely unwilling to address the elephant in the room: how inappropriate and damaging her mother’s behavior was. Instead we get small glimpses in the form of miniatures she’s building for an art exhibit. 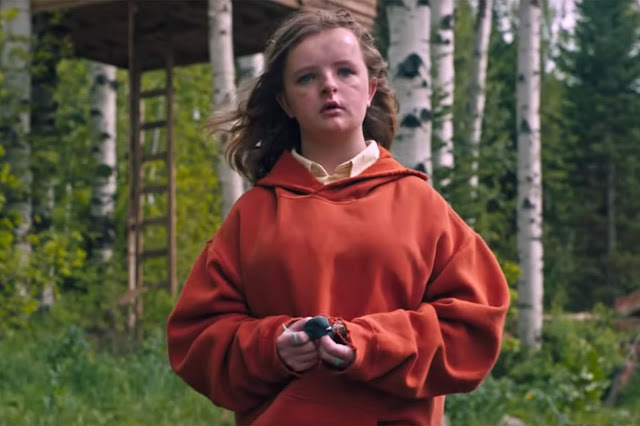 Annie struggles to figure out how her family is processing the loss, as her son Peter (Alex Wolff) appears largely indifferent, while her daughter Charlie (Milly Shapiro) can barely cope and begins exhibiting strange behavior. I think the most apt description of Hereditary is “upsetting.” It’s the kind of movie you’ll take home with you. It asks unsettling questions about family – how we inherit mental illness, how far the bonds of family can stretch, and the kind of horror that comes with not feeling safe in your own home. It’s got a handful of your typical jumps and shocks, but the psychological impact of the film reverberates further. Writer/director Ari Aster seemingly comes out of nowhere with his debut. Hereditary is his first feature length film, having been previously known for a short released in 2011 called The Strange Thing About the Johnsons that garnered a cult following. Hereditary is a movie that unfolds numerous surprises, so I won’t say much abut the screenplay beyond the fact that I appreciated both its use and subversion of well worn genre tactics. One of the most unusual and distinctive elements of the film is the use of Annie’s job as an artist and her creepy, revealing miniature scenes, which provide wordless exposition and insight into Annie’s emotional state. Beyond Aster’s unbelievable first go at a feature film, a lot has to be said for the casting and performances in Hereditary. As I mentioned earlier, the film’s success rests on Collette. But relative newcomer Milly Shapiro’s performance as Annie’s daughter, Charlie, is equally haunting. Shapiro perfects the art of wordless intensity as she effortlessly conjures a character that makes you feel as worried for her as you are for those around her. I'd expect we'll see a lot more of her after this break-out performance.